Check out this video of some epic yellow fin tuna fishing some of my customers took last week. Check out this crab. It claws and legs are all white. 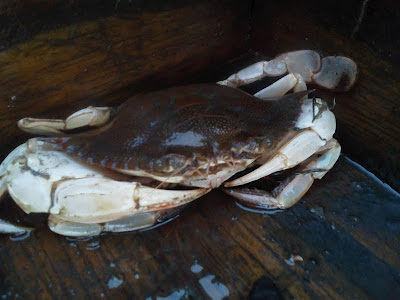 Crabbing has been getting better with many of the female dropping there egg sacks. And coming off a shed.